There are thousands of books, podcasts and seminars out there to teach you how to land the next promotion and climb the ladder to success in your company. For years you followed their advice and fought to prove that you were the best fit. You worked hard, took on new projects and developed your skills. You finally landed the promotion, but now what? All of your former peers suddenly report to you or are suddenly members of your staff. Now you actually have to lead during what can be an uncomfortable and uncertain transitionary period. It is possible to navigate the first few months as a manager and help your team members adjust to your new role. Here is how you can handle your promotion with grace while inspiring your team. Your promotion isn’t a problem that is going to go away or something that your team will forget about. It is possible to address the issue up front without gloating about your new position and making others uncomfortable. Jeremy Anderberg at the Art of Manliness encourages people to acknowledge the change without celebrating and rubbing it in the faces of their peers. He suggests setting up an in-person or virtual meeting with your new team to have a conversation about what the future of the team will look like and how relationships are likely to change. This allows you to create a formal platform to discuss the promotion. When it comes to the issue of being promoted over your peers, Mandy Gilbert, founder of executive search firm Creative Niche, encourages everyone to “embrace the awkward.” Yes, leading your peers is going to be uncomfortable in the short run. Yes, everyone is going to be talking about you, whether or not they think you’re qualified and how you are going to lead. However, the best thing you can do is start working and proving your worth. Management wouldn’t have promoted you if they didn’t see something in you. If the relationship with colleagues continues to be difficult, have patience. You simply have to wait for them to come around, advises lawyer Elaine Hutton. Once you’ve extended the olive branch and have taken steps to create a positive working environment, it is up to them to step up and accept the new management structure or find an alternative. Your day-to-day tasks will change with this promotion, as will your freedom to join groups and gossip around the office. Managers can’t participate in gossip with their team members, because harmless jokes one day become difficult conversations the next. In his New York Times workplace advice column called The Workologist, Rob Walker gives an example of why you can’t keep those relationships. A manager caused problems by hanging out with a workplace group at lunch and after hours. He’d engage in workplace gossip, and even made professional decisions based on that gossip. This puts all other employees in the company in a difficult situation. They don’t feel like they can approach their boss about someone within the clique and also feel that the gossipy group will call the shots because the boss isn’t thinking objectively. 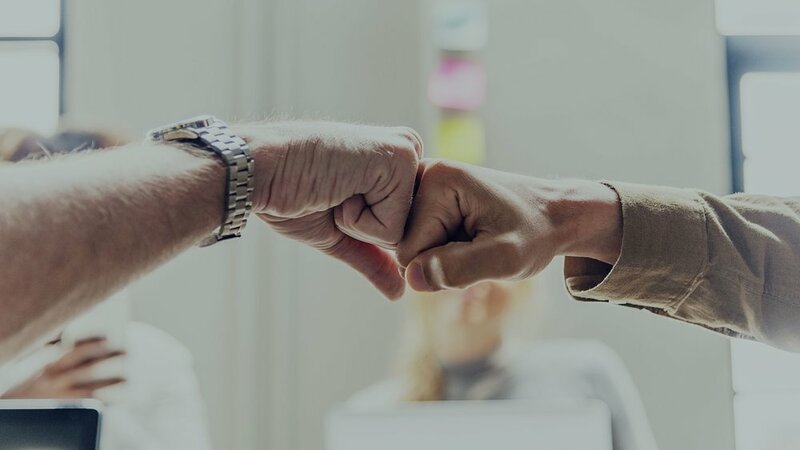 While you can still maintain strong relationships with your colleagues, it is important for both parties to understand that this promotion is more than a job title. They need to respect your directives and take action based on your goals. This actually may be easier for you than it is for them. While you are training and preparing to lead, they might not see how their behavior isn’t appropriate anymore. It is better to be proactive with this relationship building instead of waiting for change of hoping your team members will get the hint. Once you and your peers understand your new roles and what working for you will be like, you can start to move forward with your management style. “The best way to be seen as legitimate in the role is to take successful actions that show that management made the right decision in giving you the job,” writes management trainer Victor Lipman. As a leader, you set the tone for the department. Your new employees will reflect you, and you can use this as an opportunity to help them grow while you learn. Look to other people within the company as an example and see how they interact with their managers. “We unconsciously shift our behaviors to match what we think our boss wants to see and hear from us,” explains Liz Ryan founder of Human Workplace and author of “Reinvention Roadmap.” Even if there are subtle changes, most people adjust who they are to act more like their bosses or what they think their bosses want. Review your team to see who is the strongest, who shows the most potential, and who you can use as an ally to get work done. Learning and development professional Michele Markey says most people are promoted because they were the top dog on the team. Now it’s up to you to find the next top dog. As you stay on the lookout for the next “top dog,” put your personal feelings aside, Maurie Backman at The Motley Fool writes. You may be tempted to keep collaborating with your closest work friend or former deskmate, but the most influential person may be across the hall or someone who you haven’t worked with closely yet. Staying objective is also essential if you are going to make personal decisions about promotions, raises and opportunities. Now that you are a leader, you can use your influence to make positive change, writes communication skill coach Stacey Hanke. Your experience in the lower levels of the company provides insight into what motivates the team, what drives them nuts and what needs to be changed. You can win over your team by trying to make improvements based on this knowledge and working with them in mind. This shows that you remember your roots, even though you are a manager now. Your promotion doesn’t have to mean that a door is closed for other members of your staff. You can work with your team members to help them grow professionally and find out what they want to do in their careers. Companies are realizing more than ever the benefits of internal hiring — or at least the dangers of not embracing it. Dan Schawbel, author of “Back to Human: How Great Leaders Create Connection in the Age of Isolation,” says employers believe internal mobility programs increase retention rates while promoting high engagement levels. When employees understand their employer cares about their careers, they will work harder and try to advance. However, if an employee thinks their manager is trying to block their advancement, or will just pull in a shiny outside hire, they start to check out and consider leaving for someplace that will value them. “I was skipped over four times in my career for promotion, when the company hired from the outside,” says Inc. Magazine leadership columnist Ben Fanning. “Each time I ended up leaving the company and so did most of the other internal applicants.” Investing in your team members proves that there is still a reason for them to stay even if they were passed up for a promotion. You can help build them up and prepare them to advance in the future.